Which Roads Should be Considered for Paving? We Want Your Input! 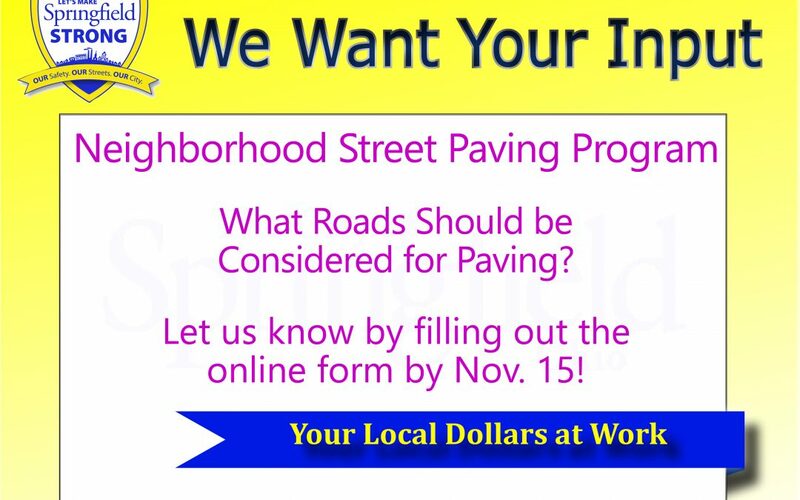 The 2018 Neighborhood Street Paving Program is wrapping up. Which roads should be considered for future paving programs? Give us your input by filling out the online form by Nov. 15. Fill out the form.